Which questions are you asking before you drop your little one off for a play date? Scary Mommy recently posted a video staring Mary Elizabeth Ellis and Brooklyn Nine-Nine’s Melissa Fumero, and while it seems like a spoof at first, we soon realise we’ve forgotten to ask the more pressing and probably lifesaving questions. A recent research report conducted by the University of Washington’s Institute for Health Metrics and Evaluation, reported on the number of fatalities as a result of a firearm for 2016. South Africa made the list at number 12 with a total 3 740 deaths. Ethiopia was the only other African country on the list. For the most part, firearm-related deaths are recorded as a result of homicides and suicides, but accidental injuries make up a whopping 9% of deaths, according to the research report. So while owning a gun and having it in the home may be a personal preference, regardless of the statistics, constitutionally there’s nothing wrong with owning a gun, provided there are regulatory restrictions on firearm access, which we have in South Africa. Despite what you may think you can’t just walk into a store (even a dimly lit one at the end of a dark alleyway) and legally buy a gun. There’s a specific procedure to follow laid out in the Firearm Control Act of 2000. They don’t make it very easy to acquire a gun. have a background check – you can’t have a criminal record. (b) Handgun which is not fully automatic. No person may hold more than one licence issued in terms of this section. The licence will be valid for no longer than five years. The Act stipulates that, when stored, guns must be stored, along with the ammunition, in a safe or strongroom that conforms to the prescriptions of SABS Standard 953-1 and 953-2, at the place specified on the licence, authorisation and permit. So when arranging the next playdate, go ahead, ask about the dangers of the brain-melting crack that is screen time and the s-word (sugar) and uncovered fish ponds or pools. But don’t forget to ask the lifesaving question: “Is your gun locked up?" Do you have a gun in the home? How do you ensure it stays completely out of reach of the kids? 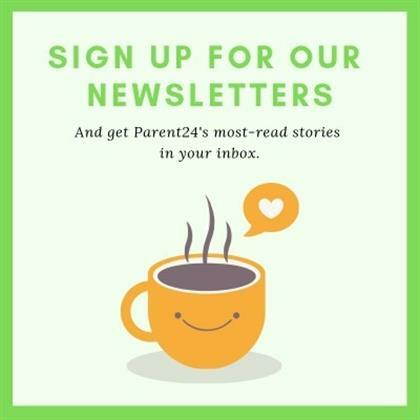 Tell us by emailing chatback@parent24.com and we may publish your comments. Do let us know if you'd like to remain anonymous.